Composed by Arcangelo Corelli (1653-1713). Arranged by Daniel Leeman. Baroque Period. Set of Parts. 5 pages. Published by Daniel Leeman (S0.181093). Two starkly contrasting movements, Arcangelo Corelli's Sarabanda and Gavotta presents an enjoyable insight into the Baroque. 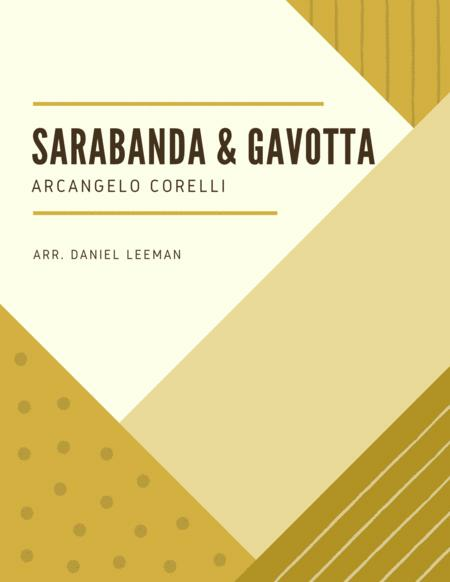 The opening largo movement is a great opportunity for players to work on sustained tone control while the Gavotta playfully dances between the solo and piano accompaniment.